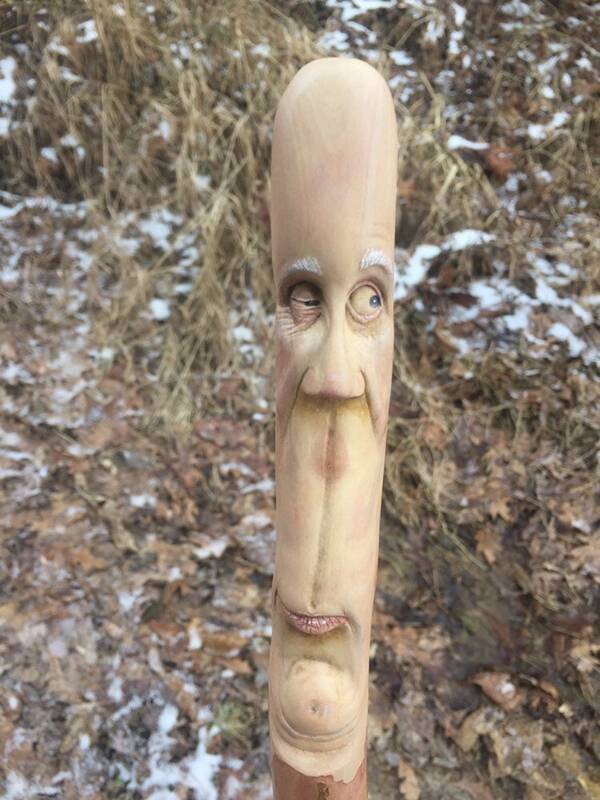 This is a wood walking stick, hand-carved in a single piece of wood. 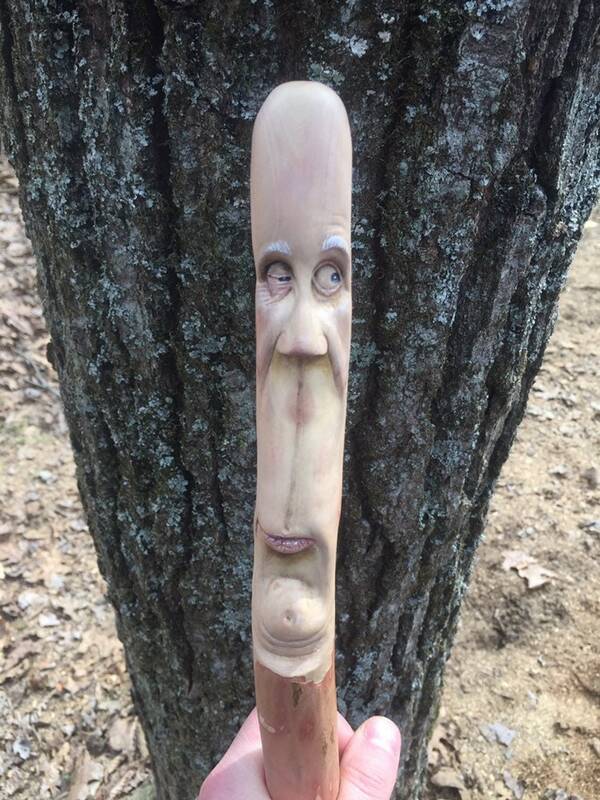 This hiking stick makes a perfect wood gift and is a very unique wood gift. 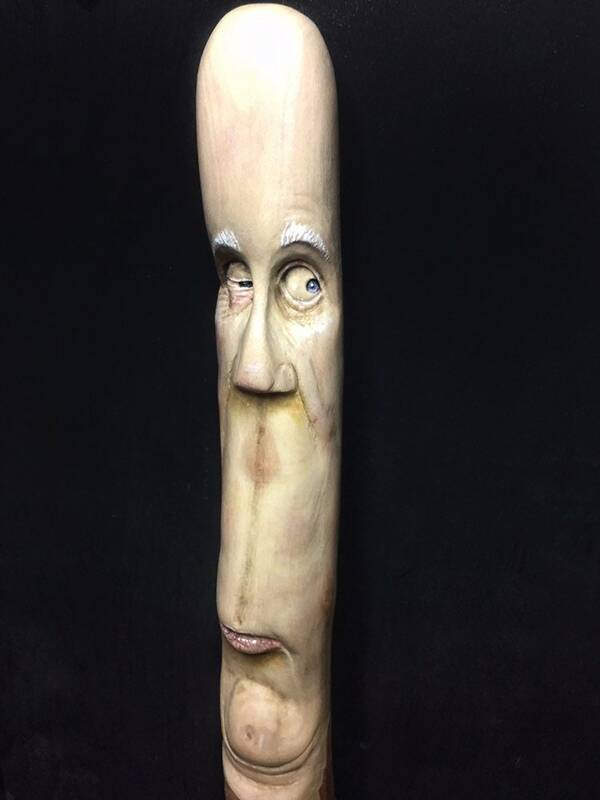 This is a very strong and unique stick! Dogwood is nearly unbreakable! Everything in my shop is made by hand, by me, Josh. FREE SHIPPING TO THE USA! Please contact me for international shipping. 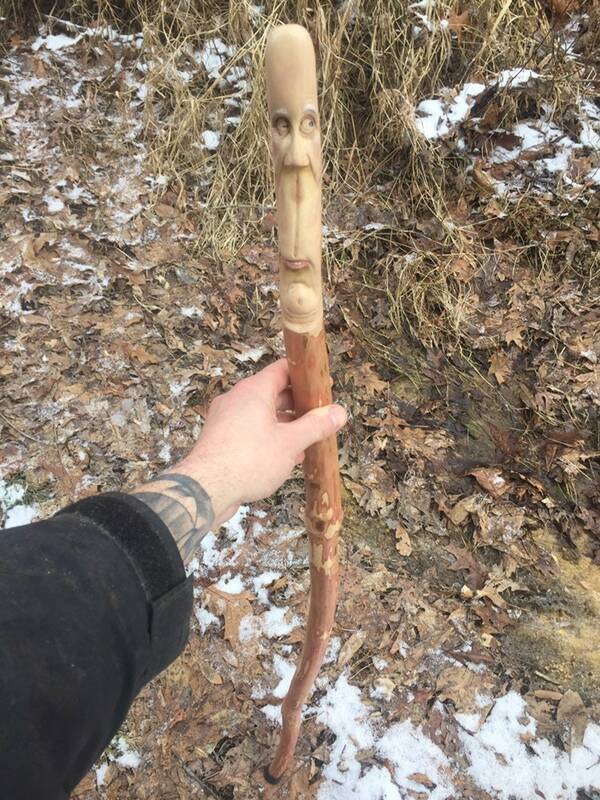 I include a certificate with all of my wood spirit and wood walking stick carvings. It just tells a little bit about me and adds some provenance to the work. 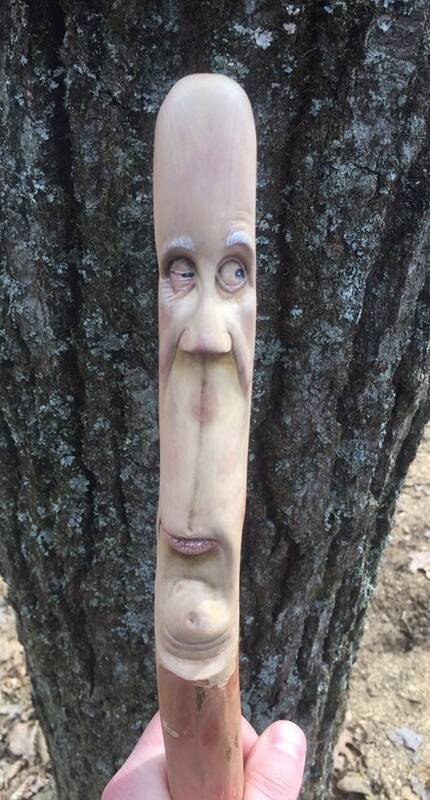 I have attached a rubber tip to the end of this stick. This helps to protect the stick and the surface that it touches. 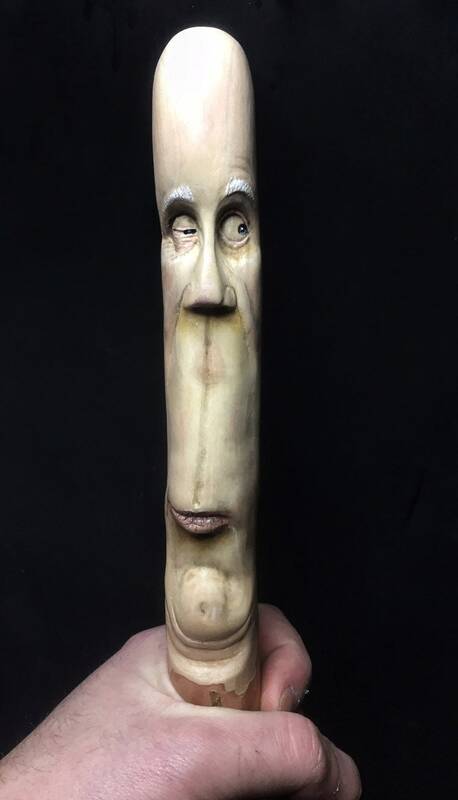 I carved this fella' using tools similar to those of a dentist. 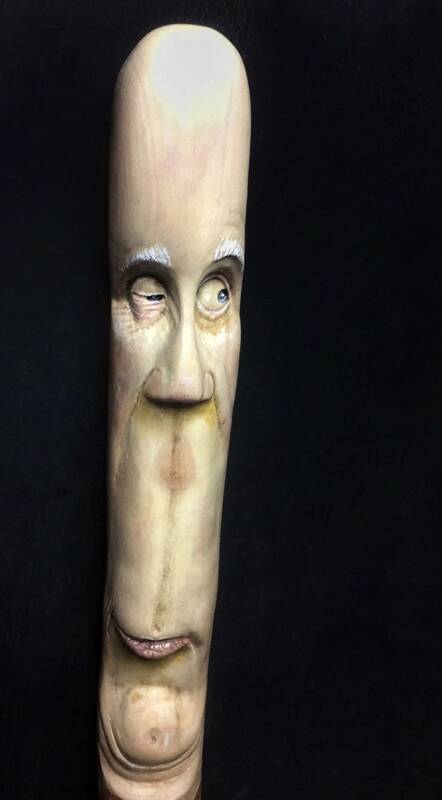 There is a hand piece, foot pedal and hanging motor that I use with various cutters to create all of my sculptures. I like to add just a tad of oil paint to accentuate my cuts. 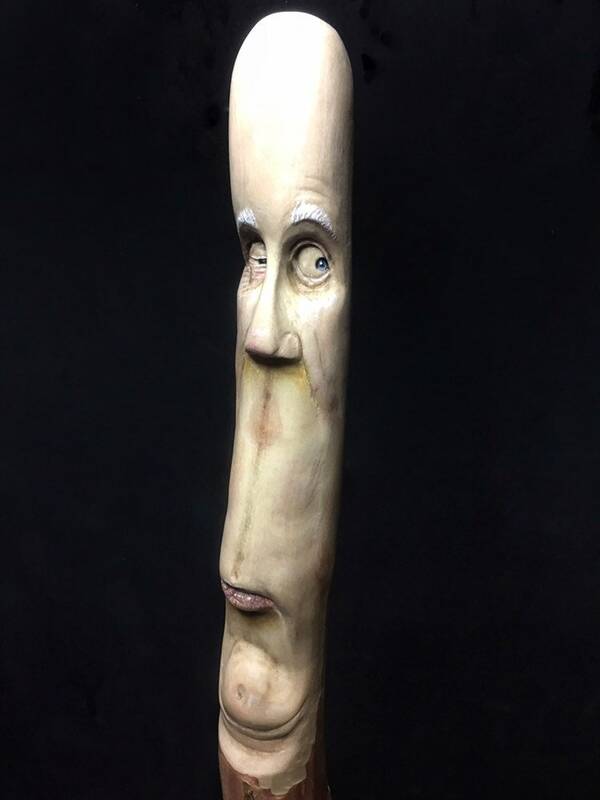 This carving is finished with 3 coats of spray polyurethane. Be sure to view all 6 pictures! 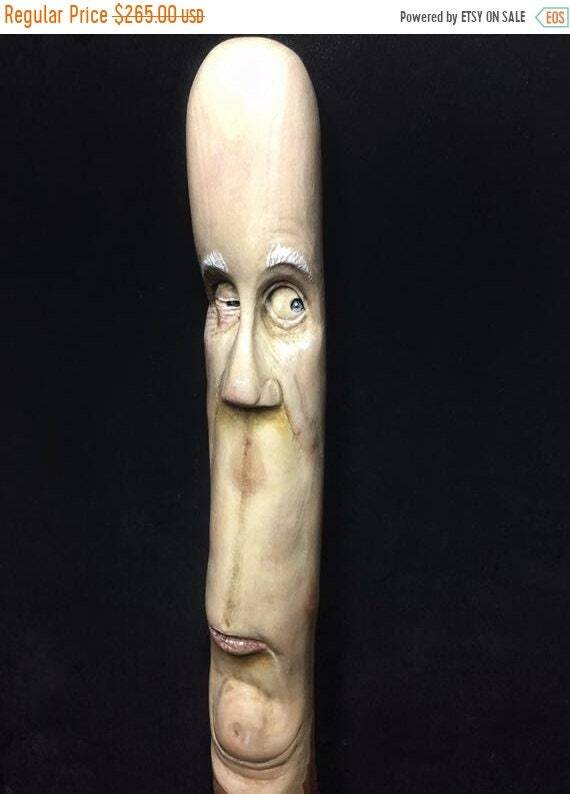 You can zoom to see a larger image of the carving.